The Washington Redskins and USAA will continue their tradition of honoring our nation’s veterans and active duty military through the team’s annual “Salute to Service” game on Sunday, Nov. 16. Kickoff for the game against the Tampa Bay Buccaneers is set for 1 p.m. The Redskins and USAA, the presenting sponsor and Official Military Appreciation Sponsor of the Washington Redskins, are joining forces to honor local military by inviting more than 50 guests from local military units to Sunday’s game. In addition, General Larry O. Spencer, Vice Chief of Staff of the U.S. Air Force, General Jay Paxton, Assistant Commandant of the U.S. Marine Corps, Admiral Michelle Howard, Vice Chief Naval Officer of the U.S. Navy and a representative of the U.S. Army will serve as honorary captains. Prior to kickoff, the Redskins will present a special military challenge coin, designed and created by USAA, for use in the official coin toss. The long-standing tradition among military members of carrying such coins symbolizes unit identity and collective brotherhood, and the coins are often traded or collected among unit members. USAA’s design of the military challenge coin for the Salute to Service game pays homage to that revered tradition. The Redskins will also display Salute to Service banners on the sidelines honoring all branches of the United States Armed Forces, as well as honoring members of the military on-field. As part of the Redskins’ season-long military appreciation efforts, three families of the Tragedy Assistance Program for Survivors – a non-profit geared towards helping those grieving the death of a loved one serving in America’s Armed Forces – will be highlighted in-game on the video boards. Salute to Service goal post wraps, pylons with camouflage ribbon decals and wall banners in the back of the end zones. Camouflage ribbon lapel pins, towels, players’ gloves, captains’ patches and helmet decals. Military guests of USO-Metro and Redskins Salute, the Official Military Appreciation Club of the team will form the fan tunnel for player introductions, as well as participate in the “living flag” ritual, sponsored by USAA. Sgt. Vicki Golding of the United States Army will sing the national anthem. Kaplan University and the American Freedom Foundation’s Military Family Scholarship Program will award a four-year scholarship to a military family member at halftime. The Military Order of the Purple Heart Services Foundation will host a Purple Heart pinning ceremony at halftime. 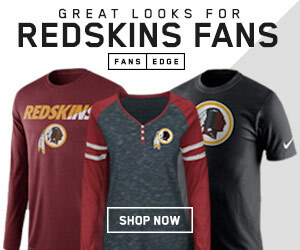 Lenovo, the Official PC of the Washington Redskins, and proud technology provider to USO Centers, will make a donation to Redskins Salute, as well as the USO. For more on how USAA appreciates our military, veterans, and their families, through its Redskins and NFL sponsorship’s, please visit www.salutetoservice.com. 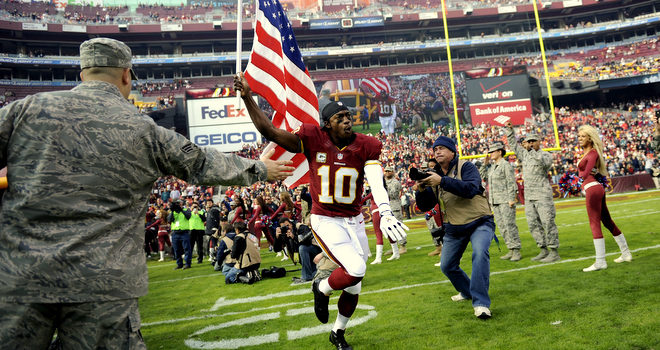 For more information on Redskins Salute, the team’s Military Appreciation Club, please visit www.redskinssalute.com. 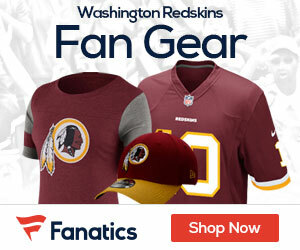 The Washington Redskins Salute to Service Game is part of the NFL’s “Salute to Service” campaign. For more information on the NFL’s commitment to the military and veterans, visit www.nfl.com/salute.